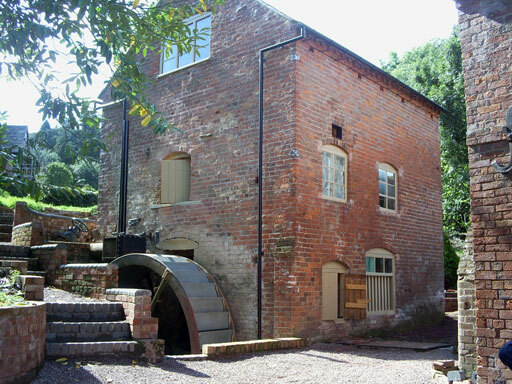 The water mill at Shelsley Walsh was part of a farming community in the Teme Valley in Worcestershire. There has been a watermill on or near this site since 1308, but the current mill shows three stages of construction spanning over 300 years. It was last used to grind animal feed around 1923. The Society has restored the mill to a working condition for use as a visitor attraction and educational resource, as well as providing active conservation of wildlife habitat. The mill is located near the foot of the famous Shelsley Walsh hill-climb course run by the Midland Automobile Club and adjacent to the beautiful 12th Century Church of St Andrews which is well worth a visit too. As well as having two pairs of millstones there is also a geared shaft taking power from the waterwheel into the farm buildings where it drives the original Chaff Cutter and Root Chopper. Everything is in working order and is occasionally used. Follow the restoration of the mill and learn more about the history of the mill and the local community that it served.